This means that you have the opportunity and a welcome note for your emails to enter into the inbox. It will not be “marked as spam”. So how does it fall in the conversion category? Applying different strategies and free giveaways can really boost up your sign ups. With a little bit of testing on the different aspects like open rate, click through rate and others, your conversion cycle can be completed. This is an entry in the conversion funnel for your main goal. Why would someone register on your site if they do not find a few things useful for them? The target is to track these micro conversions and offer them with their desired products. These conversions from online account creation are also a good lead for your upsell or cross-sale campaigns. This is a micro-conversion that also works as a referral agent. How? The first point to consider is people only share contents that they really like. So if someone shares your product image or texts, they are already interested in your product. Push them with discount or offers and you can have your conversion easily. Next, when they share your content on social media or through emails, they are sharing it as an approval of your product which gives you the benefit of social proof. 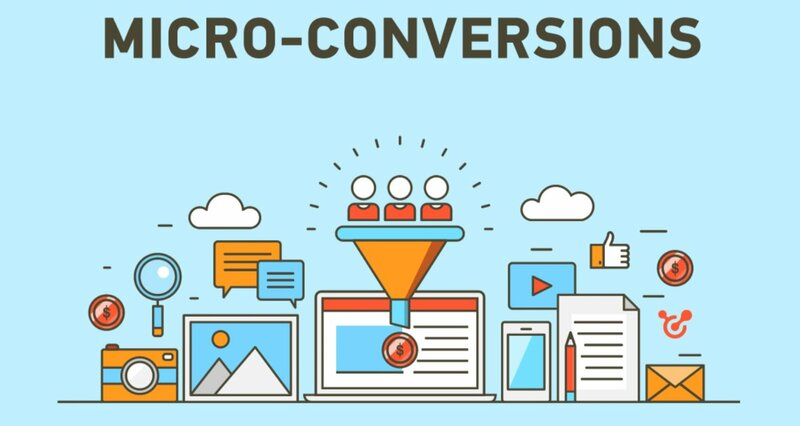 Whether you have a contest about directly aiding for your conversion or a contest to gather feedback from visitors, someone entering in your contest is definitely a micro conversion. Whether they are directly interested in your products or they are interested in your prize amount, you have successfully made the visitor to remember your site for some time. Tracking the entries for your contest and leading them to complete your macro conversion funnel is a tremendous opportunity. There are a lot of other micro conversions on your site. To identify them, you can study the macro conversion funnel and set multiple milestones on that funnel. It also depends on what marketing strategies you have implemented in your eCommerce business. For multi channel eCommerce marketing, identifying your micro conversions may not be as easy but you have way more visitors waiting to become your customers. So don’t miss out those conversions. And if you have already implemented these tips or have more of such then share with us through comments below.